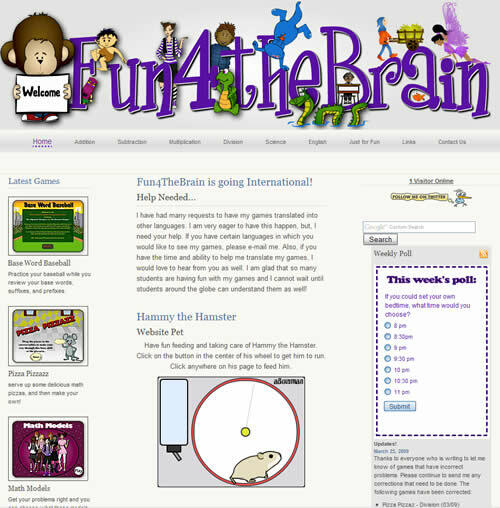 Fun4theBrain.com is a great collection of totally free, original, high-quality, flash-based interactive games. 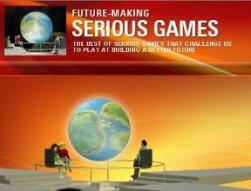 All the games are developed by Natasha Oliver (Exuberant Games) and she has done a marvelous job. Each game goes through important information for a certain subject matter. 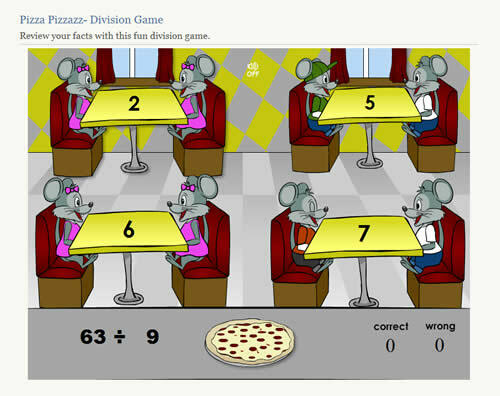 The site has dedicated sections to Addition, Subtraction, Multiplication and Division. 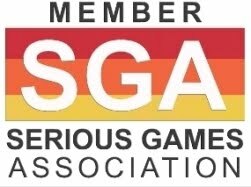 Games include Aquatic Speedway, Pizza Pizzazz, Math Models, Math Monsters, Snowball Fight, Patty's Paints, Color Creations, Super Stars and more. Here’s a screenshot of a division game! 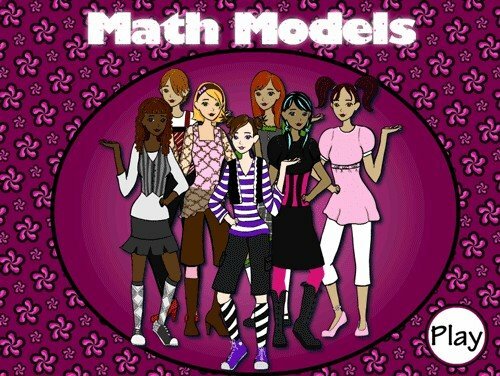 Here is a screenshot of Math Models! 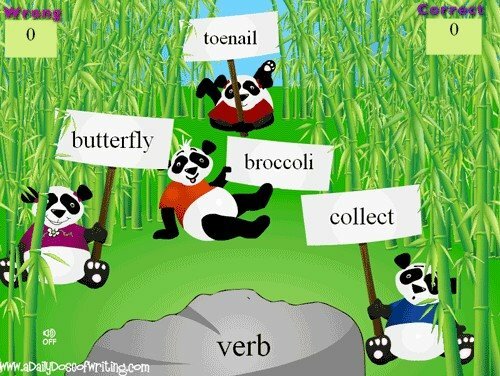 Panda Mayhem - This fun English game has some silly pandas to help teach the parts of speech. The website is currently being translated into more languages. Some games are already available in French or Danish. The activities won’t TEACH concepts but are good for review and reinforcement, and could be easily utilized as a whole-class interactive activity. Scores are kept and reported at the end so kids can track their progress. If they get the answers right, they will earn rewards such as new clothes for a dress-up-doll or new colors for a coloring page. Coming soon to this area will be tutorials that will teach the facts, not just review them. Different styles of learning will be taken into account when the tutorials are created.